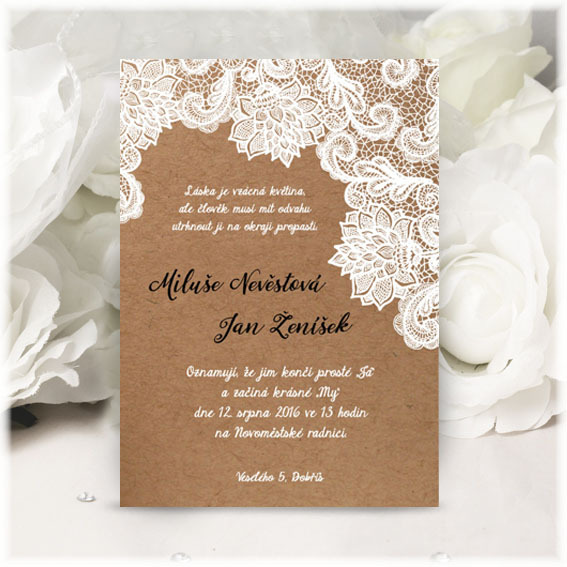 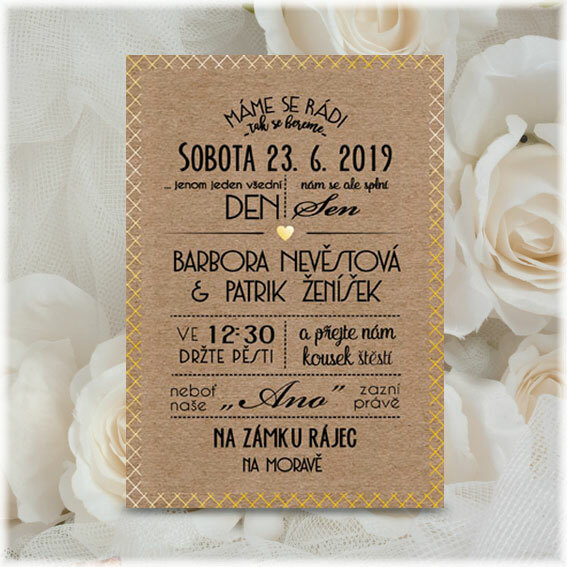 Kraft wedding invitation in vintage style is printed on brown paper, resembling cardboard. 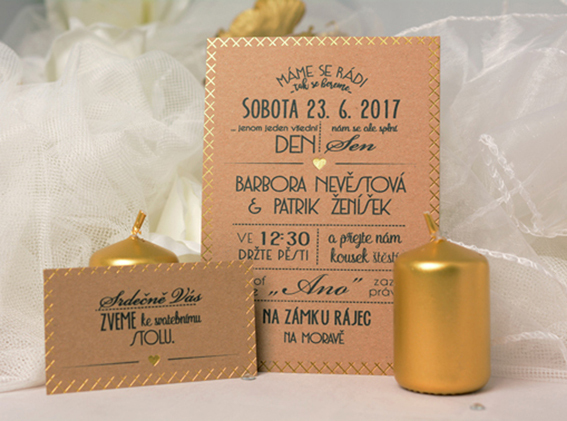 Graphics are composed of multiple fonts and decorated with some graphic elements. 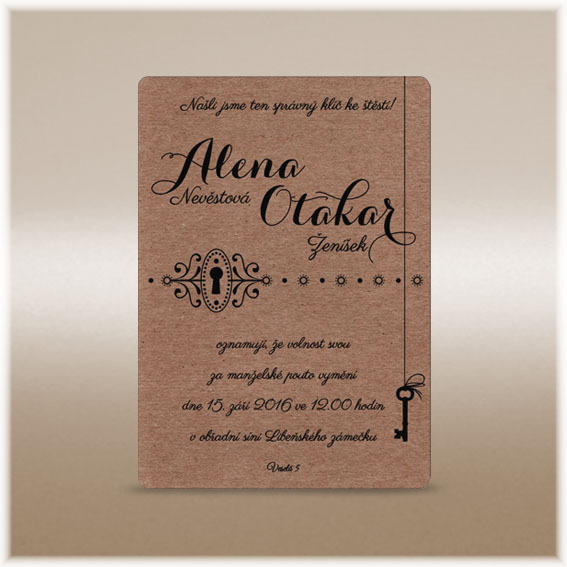 Regular framing and the heart in the middle of invitation is bored through the gold foil, what adds exclusivity.